In Online Marketing, we know how complicated it is for an entrepreneur to decide on an e-commerce platform. There are many options to choose from, with an excellent reputation and it can be difficult to get an idea of the quality of each of the different tools. How do I know what I need for my online store? What is clear, is that if you are thinking of opening an online or already have up shop, there is a platform that you should consider and that is Shopify; One of the easiest and most popular e-commerce solutions. Shopify was founded in 2006 by Tobias Lütke (CEO of the Year Award in Canada), Scott Lake and Daniel Weinand. Since its launch, the platform has been growing rapidly to become one of the leaders in e-commerce solutions. The company currently supplies more than 150,000 online stores. Its control panel is one of the most complete that we have been able to see. Allows you to add new products, create discount coupons, consult the latest reports of your business or have integrated your blog, as some of its many functionalities, and do not need to have excellent computer skills to manage this platform. Insert images, titles, and descriptions in each of your products. Create and manage your product inventory. Set up client accounts so that they can access a private area from which to manage their personal data: address, bank details, email... In this way, you make the process in the following purchases. Create reports on the behavior of your customers based on location, money spent, etc. ; This way you will understand where your customers are and how they operate in your store and you can optimize your site based on this. Shopify also offers to expand the functionalities of your online store, through more than 1,100 different applications - free or paid - with which to improve your site. We highlight, for example, accounting, customer service, inventory management, online marketing, reporting or social media. 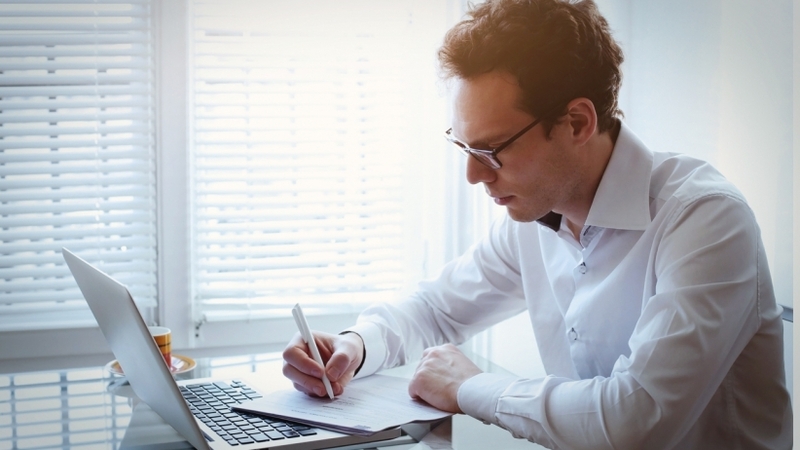 Keep in mind that these applications can help automate many of the processes of your business. Through this configuration option, you do not have to worry about finding a programmer every time you need certain features for your online store; most likely, it is that the find is the App Store; Much cheaper and with the guarantee that it offers exactly what it promises. Shopify prices Is it worth the investment? Starting plan: $ 14 / month. It offers several templates for your web design and allows you to add a maximum of 25 products available by payment with credit cards or with Paypal. You will only have 1GB of storage and will deduct a 2% commission per transaction. Basic Plan: $ 29 / month. You can add products without quantity restrictions, but you still have only 1GB of storage, and you are still getting a 2% commission for each of your transactions. Professional plan: $ 79 / month. Again the quantity of products is unlimited, and you also have 5 GB of storage. The transaction fee Also to 1%. A plan without limits: $ 179 / month. There are no transaction fees or limits, and you have an enormous amount of functionality at your fingertips. This is a more suitable plan for large online stores or with pretensions to be. Is it worth making this investment? If what you are looking for is a free platform, Shopify is not your option. However, if you are looking for a stable platform and a developer for your online store that actually helps you increase sales and manage your business, Shopify is one of the best solutions. The good idea is to hire the startup plan as a start and, as your business grows, increase the rate until you reach the plan without limits; Acquiring with it more functions and tools for your business, based on the increase of your sales. Another option is to try Shopify free for 14 days to see if it's what you're looking for. 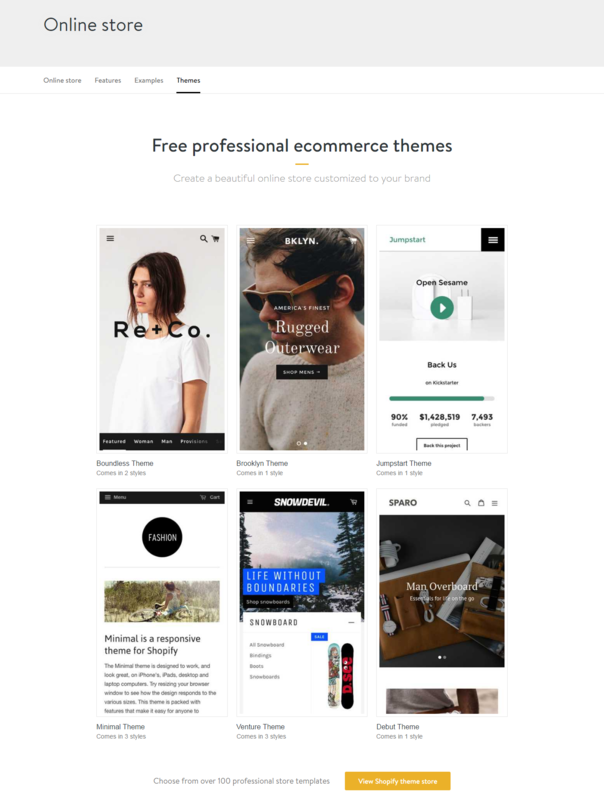 Web design is an area in which Shopify excels thanks to its templates; You have over 100 templates to customize in a very intuitive and easy way. As programming is already covered in your rate, a good recommendation is to make an extra investment in design that, in the long run, will be very profitable. Why? Because a good design will offer you the credibility and confidence, you need to convince your potential customers. Choose from your collection of templates - free or paid - made by professional designers and categorized according to different sectors: clothing, jewelry, furniture, art, etc.) so you can adapt the template to your niche market. * A big plus point is that their templates do not contain advertisements or logos; It is necessary to search conscientiously any indication that the site was built in Shopify. Drop the cart Do not miss out on a sale opportunity! The statistic says that 2 out of 3 users do not complete the purchase through the cart as they are distracted with other items; Emails, pop-ups, other windows, etc. These are the data that reveals a recent study and that can make you lose significant opportunities of billing. However, Shopify offers concrete solutions to this problem. Find out what people are behind a shopping cart and remind them that they have a pending purchase of the products they have added; Shopify offers a recovery service to pay for the abandoned purchase. It is done automatically by sending an email reminder; The tool works by memorizing the email addresses that each potential customer inserts into their registration process and past a limit of hours an email reminder is sent so that you can complete the purchase with ease. Of coursefewerShopify includes responsive templates through which potential customers can browse and shop in your store but, also, Shopify has a mobile application - available for iPhone - with which you can manage your online store wherever you are. From your smartphone, you can manage orders, track your sales or serve your customers, among other features. If you have questions or problems with the platform, Shopify offers support 24 hours a day, 7 days a week. It also provides a lot of resources to respond to your needs; Faq's, tutorials, community forum or contact directly via form or phone (a service is currently available in English only). Shopify offers very useful functions in SEO through which you will be found by your potential customers in major search engines like Google. 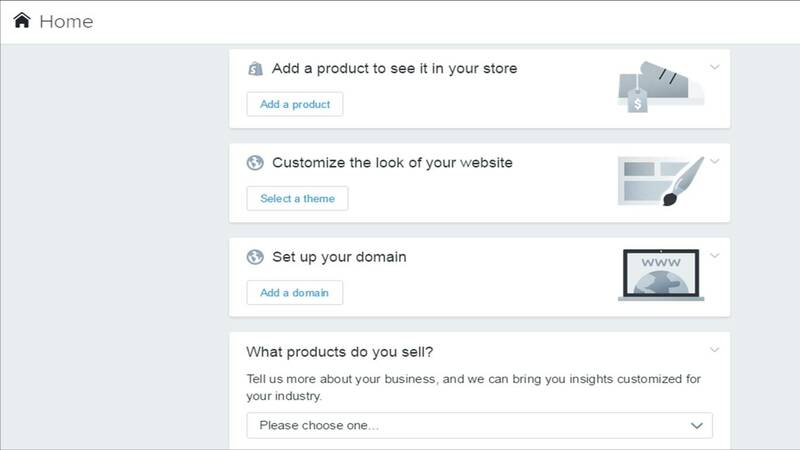 You can customize your store with advanced metadata settings; Headings, titles, meta tags or URLs... Also, Shopify is associated with Google Adwords so by getting your plan you will receive a $ 50 credit to spend on online advertising. We started with the advantages of this tool that although there are much more, has two very competitive; Safety and speed of loading. For every extra tenth of a second that a client waits to load the page, they increase the chances that the page will leave the competition. Numerous studies show that users hang on a maximum of 4 seconds before moving and this data is even more rigorous in online stores. 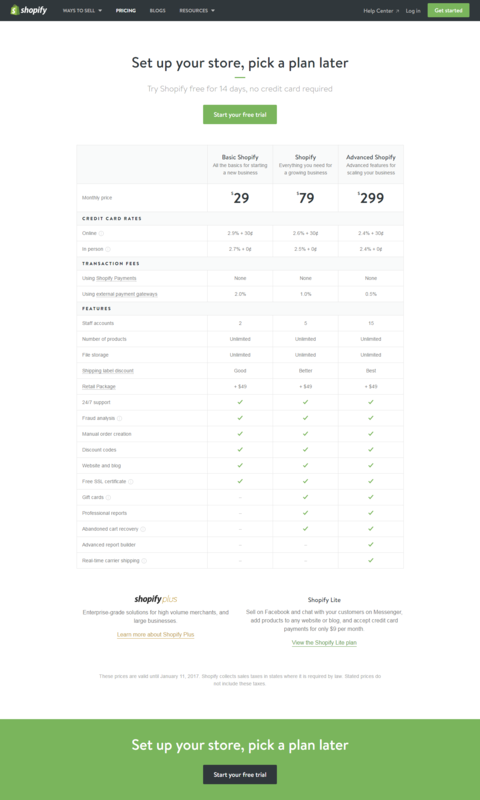 In terms of security, Shopify has as a priority the security of personal data, which is why Shopify has the Level 1 certificate in accordance with PCI standards. In addition, it uses a 128-bit encryption that ensures that the bank details are safe. As for the cons, in Online Marketing Rebels we think there are two weaknesses: your blogging system and prices. Content marketing is imperative to reaching the target audience; Allows you to increase organic traffic, conversions and the growth of your brand, instructing your customers about your sector. Having a blog in your online store is a must today. Although Shopify has a blog software but is not too powerful; it is not considering a giant like WordPress. Yes, it does the job and it is better than what the competition offers, but it has much to improve. The prices... We have already seen the rates, and it must be said that they are necessary costs, considering that it is a monthly payment. It only makes sense to make such an investment by measuring results and observing that your business grows progressively. Another disadvantage related to this is that the day you want to close your store on this platform and move to another, you will find it tough to export your data. The easiest and quickest way to do this would be to export all the information to a CSV file. Is Shopify your Ecommerce platform? Shopify means allocating a good amount of money monthly to a single platform, however, offers very attractive advantages for any business; Such as the customer recovery system that leave the cart or SEO work. It must be said that there are cheaper platforms but also offer an inferior experience; Less tools or less technical support, which is something to keep in mind if you want to be professional in your business. Shopify is not the cheapest option, but it provides you with a high-end online store solution: flexibility to grow with your business, support 24hours / 7 days a week and transparency of prices, something to be thankful since many platforms conceal charges Additional features. Shopify can be a great option to build your online store with the highest professional guarantees. From our own experience with e-commerce from all sectors, the investment in professional tools is a saving in time, money and resources.